Imagine losing your daughter to drugs and an abusive boyfriend. She does not wish to be found, but you cannot help but look. Then by chance, you see her in Central Park. Hardly recognizable but you know this is your daughter and that she is in trouble. So like any parent, you beg her to come home. Of course, she runs away. And of course, you follow; not knowing it will lead to danger, murder, hard decisions and tough love. I usually love any and everything Harlan Coben writes. So I was super disappointed when I settled in with a piping hot cup of chai black tea to read an advance copy of his new release, Run Away. My tea ran cold as I struggled through the first couple chapters. Maybe I was just tired and losing focus. So I paused reading and picked it up again later. This time it was even harder. I could not connect with the main character, let alone empathize with his situation. The storyline jumped all over the place without a smooth transition. It fell flat. In fairness, maybe the book got better but I did not finish (DNF). Nevertheless, Happy Pub Day, Harlan Coben! 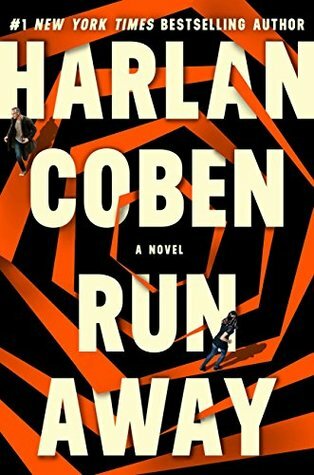 Run Away is now available.